We're less than a year into the 3DS' life, and already number of high-profile sequels have been announced (if not released) for Nintendo's latest handheld system. Among them: Animal Crossing 3DS, Kid Icarus: Uprising, Luigi's Mansion 2, Mario Kart 7, Monster Hunter 3G (and 4), Paper Mario 3DS and Resident Evil: Revelations. Without sounding ungrateful, I want more. Specifically, I want the following sequels to be announced and released for the 3DS before the system expires, as game systems are wont to do, at the ripe old age of five or six. I wouldn't be surprised if Dragon Quest XI looked a bit like this. 1. 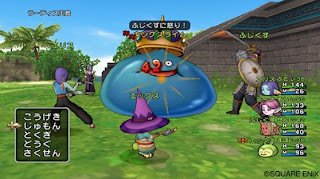 Dragon Quest XI--Having not played a Dragon Quest game since the first one, I picked up Dragon Quest IX with equal amounts of caution and curiosity. That won't be the case should the series' next entry be announced for the 3DS, though, since, in the end, the DS iteration completely blew me away. I can only imagine how great a portable part XI could be thanks to the 3DS' enhanced graphics and online capabilities. Imagine experiencing Endless Ocean's cool waters in 3D. 2. Endless Ocean 3--I've said it before and I'll say it again: The original Endless Ocean is one of my favorite Wii titles thanks to its beautiful graphics, haunting soundtrack and immersive gameplay. (Sadly, I've yet to play the sequel.) 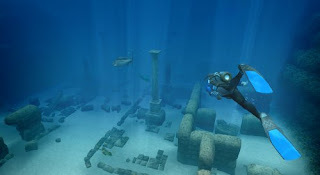 As such, if the same team made a third Endless Ocean game for the 3DS, I'd not only order a copy for myself at the earliest opportunity but I'd also order a copy for every 3DS owner I know--or at least I would if I could afford it. Would I like a Final Fantasy V remake that looks like this? Duh! 3. Final Fantasy V and/or VI--I know it's kind of lame to wish for Final Fantasy remakes, but I can't help myself when it comes to Final Fantasy V and VI--especially after seeing Bravely Default: Flying Fairy's wonderful graphics. I'm not sure any remakes of these titles will be able to top the originals in my mind, but I'm certainly willing to give them a try if they're treated with the same kind of care that went into Square Enix's DS remakes of Final Fantasy III and IV. I can't tell if my stomach is turning in fear or anticipation. 4. F-Zero 3DS--How on earth did we get through the DS and Wii "eras" without another F-Zero sequel? I don't know, but what I do know is that this dry spell had better not last through the end of the 3DS' life. This futuristic racer would be a perfect fit for Nintendo's latest handheld, don't you think? Granted, playing such a speedy game in 3D could be a recipe for disaster (or at least nauseousness), but I'm willing to take the risk. 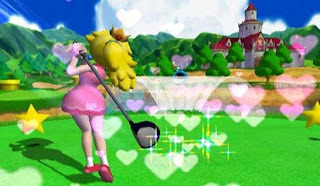 Hopefully there won't be any 'up the pants' shots in Mario Golf 3DS. 5. Mario Golf--Ah, another series that has been M.I.A. since the days of the GameCube and GameBoy Advance! Mario Tennis was announced for the 3DS a few months ago, though, so it's likely a Mario Golf sequel will be announced sooner rather than later, too. Until that happens, I'm going to include it on lists like this one--and hope that it and its racket-wielding counterpart feature the RPG elements that made their portable predecessors so compelling. Now that I've had my say, what are some of the sequels you'd like to see appear on the 3DS at some point? You should check out the rest of the Dragon Quest series if you liked 9. I'd killfor a new F-zero as well. Oh, I plan on checking out more DQ, Retr0gamer. Actually, I have DQ8, but I haven't played it. Also planning to pick up DQ7 for PS1 after Christmas. 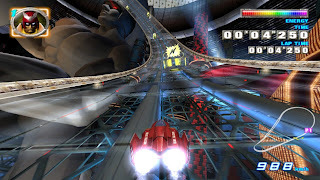 As for F-Zero: YES! God, why isn't Nintendo listening to us?? 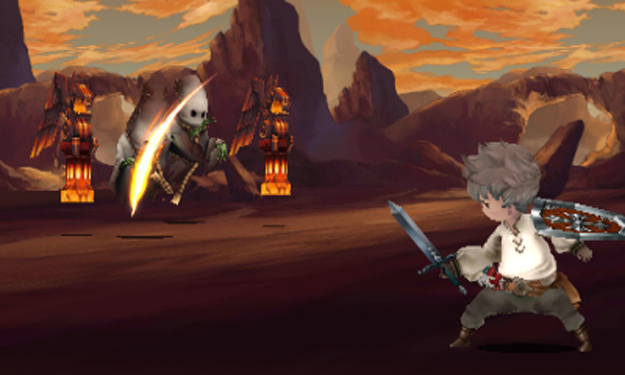 Seriously, of all the Square games that deserves spin-offs, FFV and FFIV need some love. I mean, Cecil and Rosa are great, but why do they get all the attention? Err... I mean FFVI, not IV. Cecil and Rosa (of IV fame) get all the love, leaving Butz and Terra and the rest to rot on abandoned systems. I'd love a fullscale remale of the later two SNES Final Fantasy titles, but I wouldn't turn up my nose at an After Years-esque sequel for either. I also played After Years. Not perfect, but fun for Square lifers. And female bruiser Luca rocks. I recommend you pick up DQ 4, 5 and 6 on the DS, in particular DQ5. Really loved DQ8, one of the finest PS2 RPGs and my introduction to the series. I heard DQ7 is a bit of a slog and a lot of people don't like it. There's too much padding. I've heard that you don't even get access to the job system until you are 25 hours into the game! As for After Years being fun: Yes, it definitely was. There were a few things I didn't love about it, but being able to go back into that world again was really nice. Simon: I can kind of see why they didn't release an F-Zero game on the DS -- graphics capabilities and all that -- but why not on the Wii? Very strange. Here's hoping they pull their heads out of their butts this generation and give us some more F-Zero action! Thanks for the Dragon Quest recommendation, Retr0gamer! I've definitely had my eye on the DS remakes for a while now -- just haven't picked them because ... well, because I've either been broke or I've been spending my money on other things. Still, I'd like to pick them up at some point, as I've heard great things about them. As for DQ7: I've heard some bad things about it, too, but I still want to try it. I actually like the look of it, plus it's a PS1 game, which for some weird reason is a real plus in my mind. Have you played DQ9, by the way? If so, what did you think of it? I absolutely loved it, but I know some folks who are long-time fans of the series didn't like it much. Playing DQ9 at the moment although I've gotten sidetracked by lots of other games. Really liking it although it's way too easy. Trying to get my girlfriend to buy it so we can do co-op. I haven't been successful on that front unfortunately. Ah, that's great to hear you're playing it now and enjoying it for the most part. Although I remember the main quest being at least somewhat easy, that's not all there is to the game, Retr0gamer. Some of the post-game stuff is VERY tough. Or at least it was for me. I'm waiting for Smash Bros. to be announced. I mean...they said they're making one for Wii U and 3DS (presumably together? ), but I want details. Yeah, they've definitely already announced Smash Bros. for both 3DS and WiiU, Justin. I think they're supposed to be two different games, if memory serves. Anyway, I'm with you in wanting more details! I'll be sure to pick up a 3DS before the hypothetical Endless Ocean 3 comes out. Consider yourself on notice -- make sure you strike it rich before then! So, does this mean you're an Endless Ocean fan, Zigfried? Or are you just letting me off the hook a bit? Oh, I agree, Simon! Although I'm guessing they would have tried to make the game 3D, not 2D, and the DS didn't exactly have the greatest 3D capabilities. Of course, the N64 F-Zero looked great, so surely they could have made it look at least that good?? Mario Kart 7 or Super Mario 3D Land?